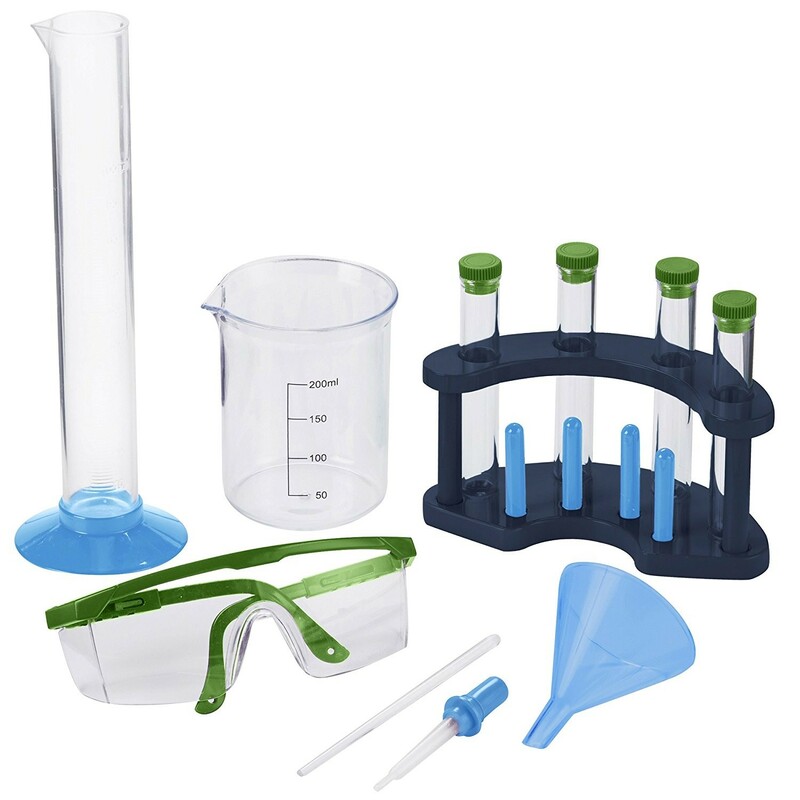 Enjoy your first discoveries in chemistry doing cool experiments with the real lab tools and activity guide from this GeoSafari chem science kit! 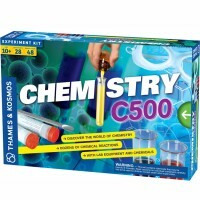 Be the science guy doing cool experiments with this new Educational Insights' chemistry kit! 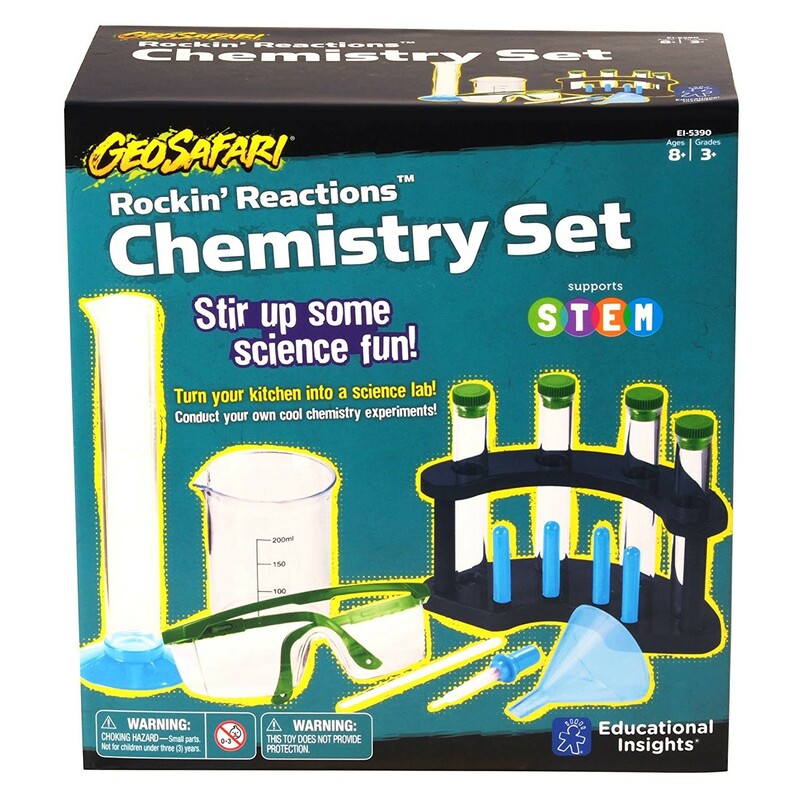 GeoSafari Rockin' Reactions Chemistry Set features real lab tools and activity materials to conduct beginners chem science experiments at home or in a classroom. 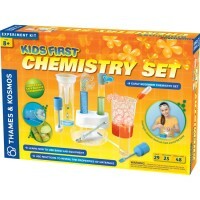 Educational Toys Planet's chem science set includes 4 test tubes, rack, beaker, graduated cylinder, child-sized lab glasses, dropper, funnel, and stirring rod. 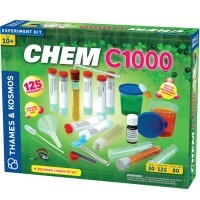 This science kit comes with a 22-page kids-friendly chemistry activity guide with detailed instructions to perform experiments with the common household ingredients. 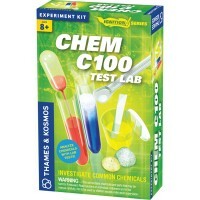 Follow the directions from the guide to test simple chemical reactions, experiment with kitchen science, ask scientific questions, propose hypotheses, analyse results, make conclusions. 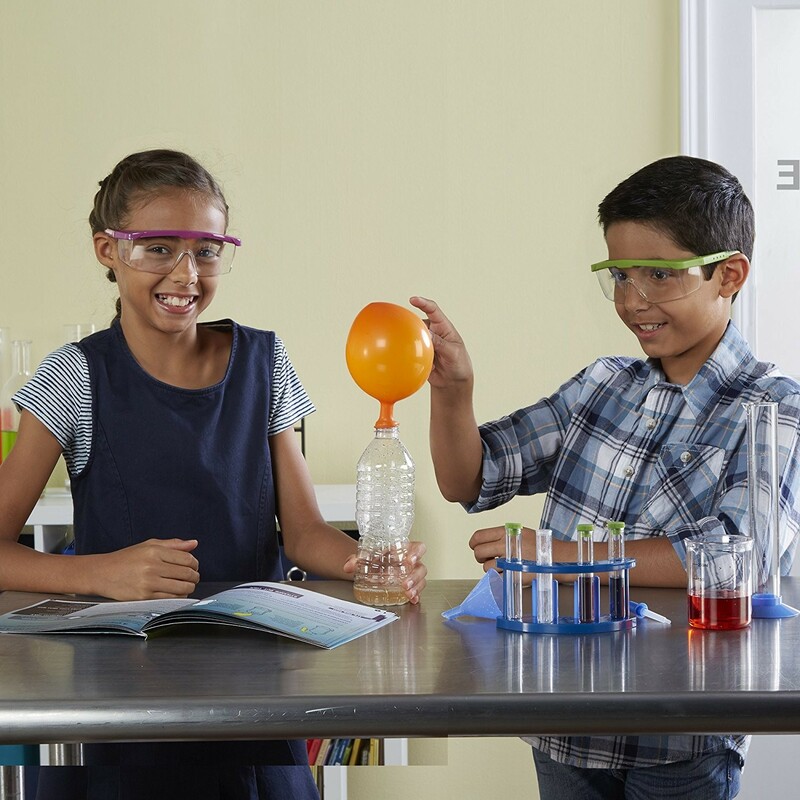 This chemistry science kit for children ages 8-12 years will help kids seed interest in science, find a project for a science fair, or make their own discoveries. 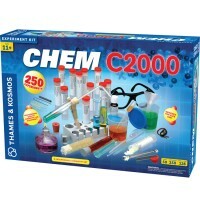 Dimensions of package 8.8" x 9.2" x 4.4"
Write your own review of GeoSafari Rockin' Reactions Chemistry Set. 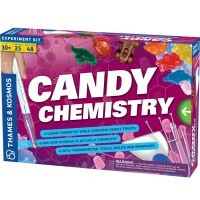 Rating: 5 Good quality by By A customer My son loves this! Came with a book of science experiments. Rating: 1 Returned by Sunny, Educational Insights Returned. My daughter did not like it. Rating: 4 Fun set, but no experiments with it by By A customer Didn’t come with any experiments, but it’s still a fun set to play with. 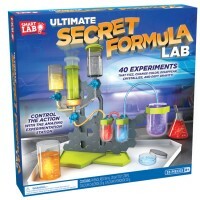 I got this for my son along with a lab coat, he loves it! Rating: 5 The package wasn't protected at all when arrived, but it was in perfect condition by By A customer This product arrived earlier than expected, good quality (hard plastic). The protection glasses fits perfectly for my 10yrs son, he is very happy and can't wait to use this at school. 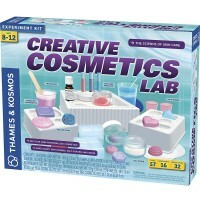 Rating: 3 Good for 3-6 year olds by By A customer This kit comes with everything in the picture and a small paper booklet of experiments. You need to buy the supplies to do them. An example of an experiment:Dancing waters:Put a drop of red food coloring in water and watch what it does. Next put a drop into hot water and see what is different.My 8 year old and I were underwhelmed, but her Grandfather is an astrophysicist so our standard may be too high. 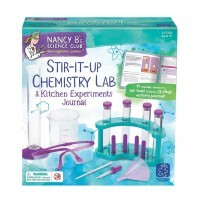 Rating: 5 My kids loved the experiments in the work book by By A customer My kids loved the experiments in the work book. We also use the sets to get water samples from the lake out back. 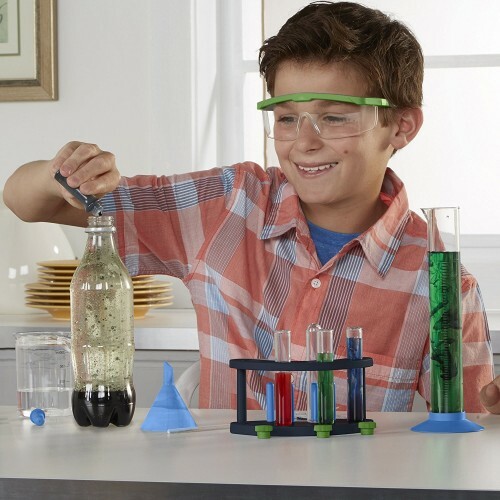 They love doing science experiments and I love that everything is plastic and much less breakable than glassware. Rating: 5 Great product! 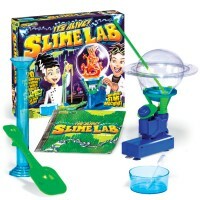 by By A customer I purchased this for my 4 year old grandson who LOVES experiments! Everything is plastic, so no safety issues! Awesome product at an awesome price!